A forever controversial figure in British history, Wallis Simpson was divorced twice over before marrying Edward VII – it was even suggested that she became his mistress before her second marriage was over. 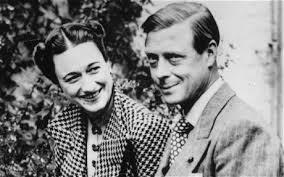 In order for Edward to marry “the woman I love” he had to abdicate his succession to the throne, making her a Duchess. After they were married, the young couple travelled between Europe and America becoming one of the first Royal celeb couples – always socialising. What’s more, they were both considered as Nazi sympathisers by many prolific figures. 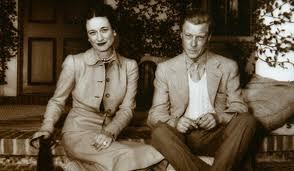 Whatever the truth is about Wallis Simpson, there’s no denying her impeccable style. WHAT MAKES THEM A STYLE ICON? Wallis Simpson is certainly not remembered for her Hollywood looks, yet she was always and remains to this day a forever referenced style icon. She had a long, narrow frame that could have made her appear awkward and rather gangly. However, her love for tailored pieces saw her rise to become one of Britain’s best loved fashion icons. Her tailored two piece suits were fitted so exact to her body shape you could trace her outline to within an inch. Her masculine style appeared to mirror her strength and power – she was certainly a force to be reckoned with. Always with a pair of delicate gloves to reaffirm her femininity, Wallis had a stunning collection of custom made jewellery given to her by the Duke himself – many pieces are revered to this day! Previous Post Does Government affect fashion?